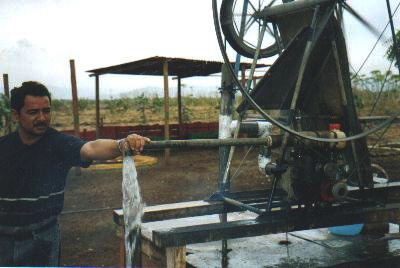 Rope pumps can be driven by low-speed electric motors or diesel and gasoline ("petrol") engines. 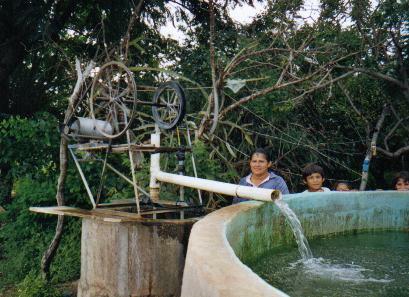 Similar to the hand Rope pump, the discharge level of the water can be 1 to 5 meter above ground level if combined with a post and extra wheel. 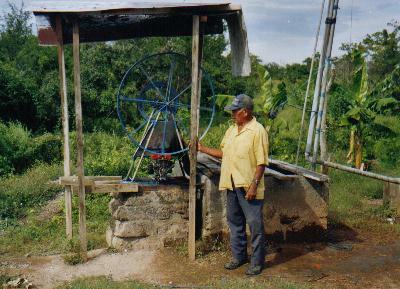 Video about the Motor rope pump.